Silver Star Yachting’s partnership with Benetti Yachts offers a perfect combination of excellent service, design, comfort and experience. 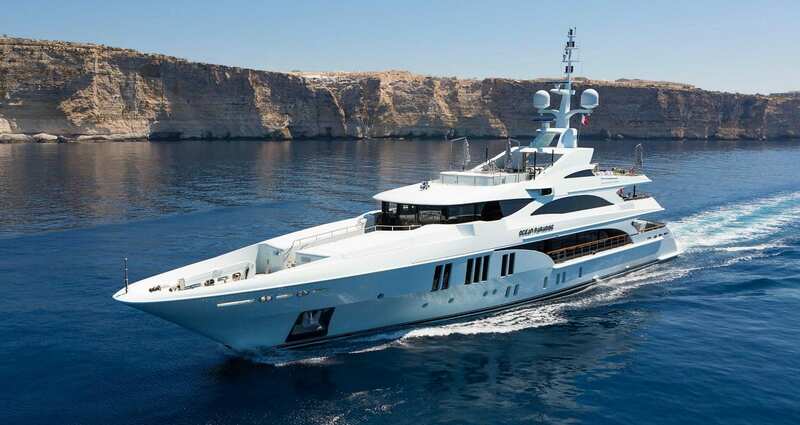 Recognised nine times consecutively by Show Boats International, Benetti Yachts’ quality speaks for itself. Moreover, Silver Star Yachting is with you every step of the way to help to ensure the perfect Benetti charter yachting experience. With Benetti Yachts, you’re spoilt for choice and quality. Whether venturing out for an incredible scenic exploration with your family, searching for a yacht as a venue for a glamorous event or for corporate gatherings or parties, the versatility of Benetti yachts that is on offer is endless. As Benetti are experts in semi-custom and composite builds, they always have the yachting experience and service at the forefront of their execution. And, since they’ve been perfecting their designs since 1873, they know how to create only the most lavish of yachts. Silver Star Yachting’s dedicated team can answer any queries or aide you to select the right vessel for your Benetti yacht charter, simply contact us.